Boating down the Ganges River during sunrise is one of the main attractions in Varanasi. 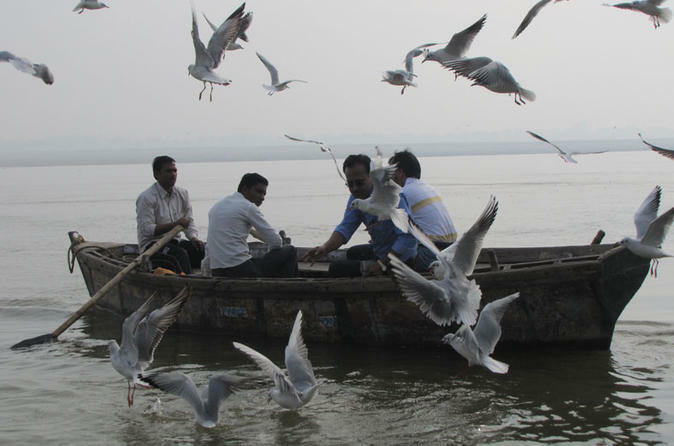 We can observe here the Hindu way of life along the banks of the Ganges (Ghats) River. Touted as the cultural capital of India, Varanasi is a picturesque city located on the western banks of Yamuna river. It has carried the legacy of Indian tradition and culture for centuries and passed it on to the following generations. The city is full of spiritualism and philosophy and embraces a fine blend of religions like Hinduism, Buddhism and Jainism. 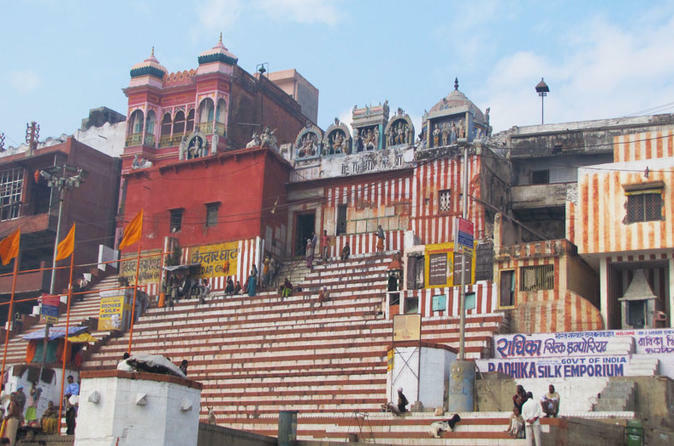 Not only the Hindu temples but also ashrams, ghats, Buddhist Stupas and Jain Temples add to the spiritual aura wrapping this special city of Varanasi. Believed to be one of world’s oldest living cities, Varanasi is the spiritual capital of India. 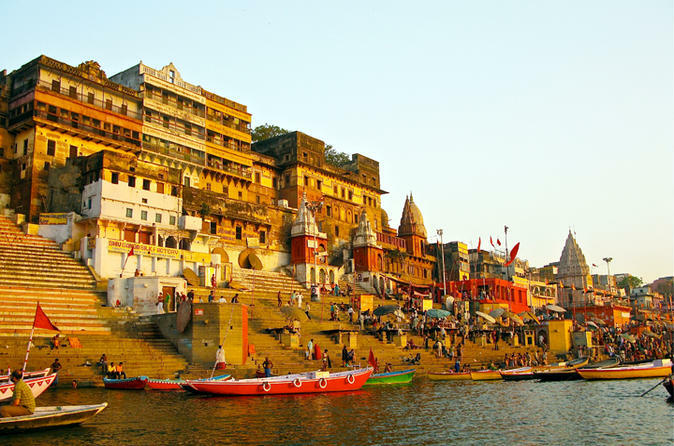 Located on the banks of Ganges River, the city boasts of its 5000-year-old history. 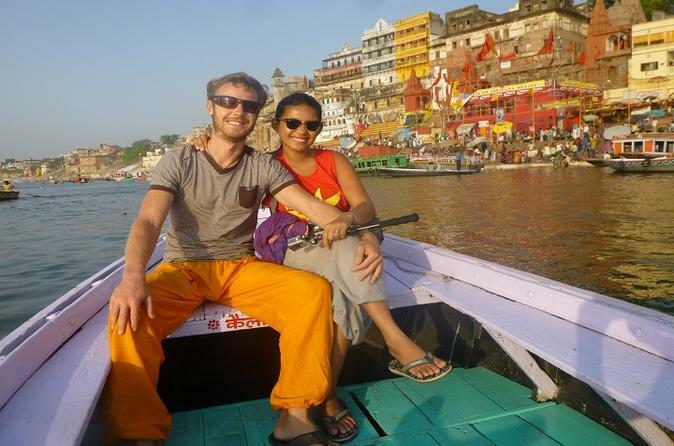 Explore Varanasi in the company of an expert local guide and capture its many colors. 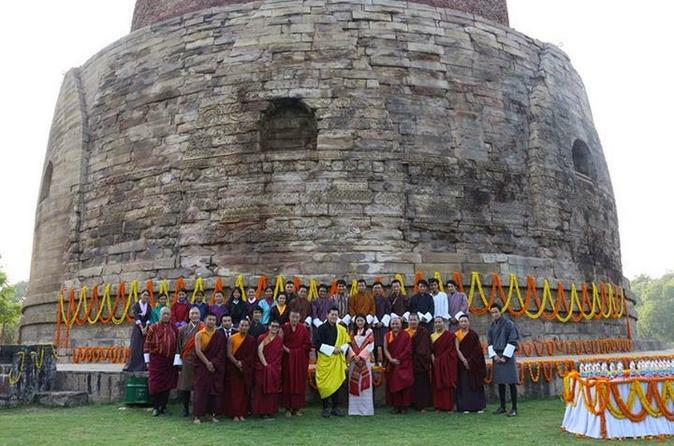 Visit Sarnath, the place where Gautama Buddha gave his first lecture after attaining enlightenment and learn about Buddhism and its teaching in Sarnath Archeological Museum. Participate in the highly choreographed evening prayer ceremony at the Daswamedha Ghat and get an insight into Hinduism. 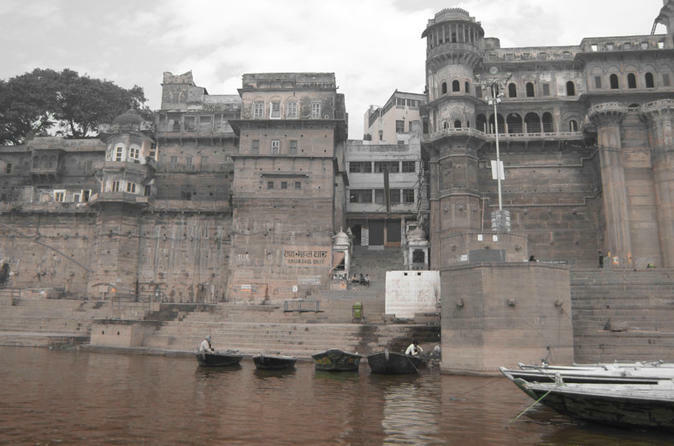 Varanasi, one of the most sacred and oldest cities in India, is located at the banks of the Gange river. Aarti, Agni Pooja is a performance in which a commitment is made to Lord Shiva, Mata Gange, Surya, Agni as well as the whole universe. 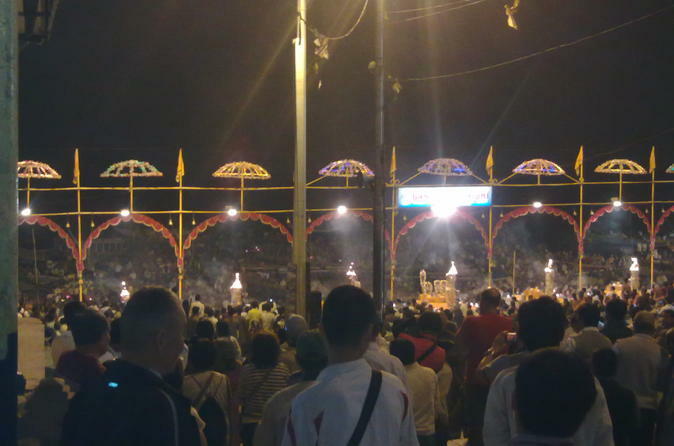 Gange aarti is performed daily in the evenings by a group of priests at the Dashashwamedh Ghat. Embark on a unique boat tour that will give you the opportunity to explore the Varansi and Ganga Ghat at sunrise. Witness the Morning rituals, special features of the various Ghats and see the various activities and professions related to the religious death ceremonies. Receive insights from a knowledgeable tour guide throughout the duration of your tour. Varanasi, as the cultural capital of India, is a picturesque city located on the western banks of Ganga river. It has carried the legacy of Indian tradition and culture for centuries and passed it on the following generations. The city oozes with spiritualism and philosophy and embraces a fine blend of religions like Hinduism, Buddhism and Jainism. Besides the Hindu temples, ashrams, ghats, Buddhist Stupas and Jain Temples, the pure mysticism of river Ganga adds to the spiritual aura wrapping this city. 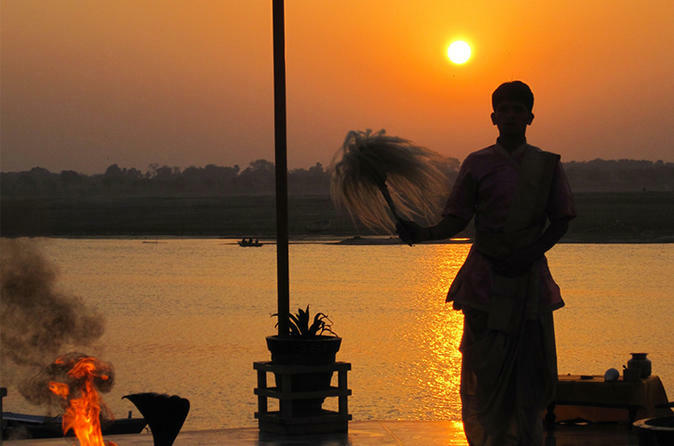 Cruise along the River Ganges and watch the sunrise with your group and private guide. See the lifestyle of the people of the local Varanasi Ghat and observe as they participate in holy worship. After your 3-hour tour, return to your Varanasi hotel with a new insight on the true culture of these riverside communities.